Liverpool will have been interested in every player on the market by the end of the summer if the modern-day transfer window gets its own way. The end of the club’s efforts to sign RB Leipzig’s Naby Keita, after having bids of £57m and £66m rejected, has sparked fresh links to a whole host of versatile options. Jurgen Klopp is believed to be eyeing up new midfield targets having failed to secure the Guinean and also seen the club’s pursuit of Arsenal’s Alex Oxlade-Chamberlain somewhat fade away . 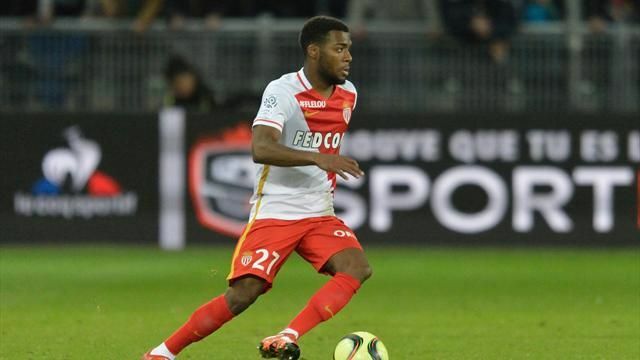 The Reds have now joined Arsenal, Manchester City and Barcelona in showing an interest in Monaco’s Thomas Lemar, according to the Mirror. Arsene Wenger has seen three bids rejected for the Frenchman so far having failed to meet his £50million price-tag, while Barcelona are also supposedly weighing up a move for the 21-year-old after selling Neymar to Paris Saint-Germain for £198million. Lemar starred as part of Monaco’s French title-winning team last season, as well as helping his club reach the semi-finals of the Champions League. Though he has proven to be a useful attacking outlet in wider areas, he has also featured impressively in a free central role. Lemar has already seen both Bernardo Silva and Benjamin Mendy leave Monaco for Manchester City, as well as Tiémoué Bakayoko for Chelsea and could thereby be tempted into a move elsewhere this summer. A switch to Liverpool looks, admittedly, unlikely at this stage, but things can change.